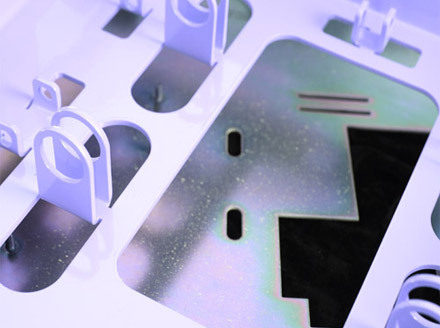 Sheet Metal Mounting Plate - Stacy, Minnesota - Wyoming Machine Co.
At Wyoming Machine, Inc. we combine quality craftsmanship with state of the art equipment to deliver superb, cost-effective metal fabrication solutions. 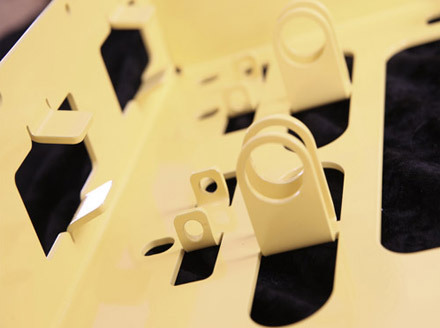 Recently, we were commissioned by a customer in the computer and peripheral equipment manufacturing industry to complete a metal mounting plate fabrication project. The mounting plate, a component in the assembly of a flight deck for a flight simulator, measured 16.83" long x 12.71" wide x 3.10" high. Utilizing our laser cutting, forming, and welding expertise, as well as grinding, machining, and assembly capabilities, we fabricated the seat mounting plate from AISI 1018 steel in 3 weeks. This project is a 12 gage weldment and provides a good example of the various manufacturing we can accommodate. 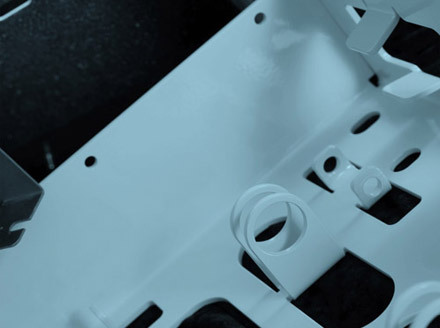 The forming is complex and the tolerances make this a precision part that requires CNC forming and attention to detail. Upon completion of the metal forming, we used a powder coated textured black finish, and performed dimensional inspections to ensure the product met the customer's specifications and our high quality standards. The customer displayed their satisfaction with our workmanship when they ordered 50 mounting plates per year. Wyoming Machine does it right the first time, every time. Let us show you what cost-effective, quality fabrication looks like. Contact us today.